The NiStuff 481 Universe Outlander action figure goes on sale Friday. (We added a new calendar of releases to the right, and will add your products to them as you let us know they exist.) There will be two flavors, and he made a short video showing off the removable helmet of this figure. 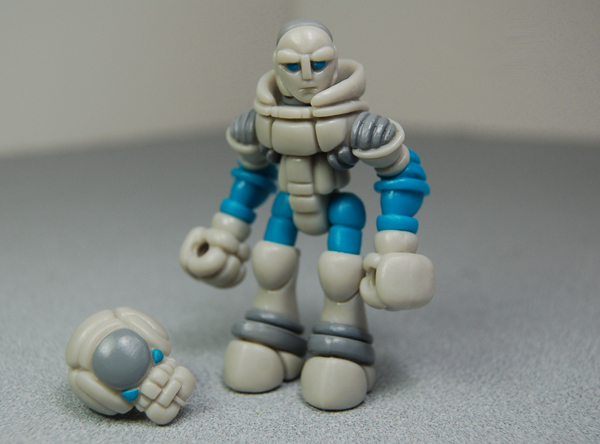 If you love the Ston'emm, and you should, you'll get a bundle of kicks from the latest figure. Announced at the Cassette Man Studios blog, Crys'torg the Chronicler is clear blue, clear red, and clearly a worthwhile release. 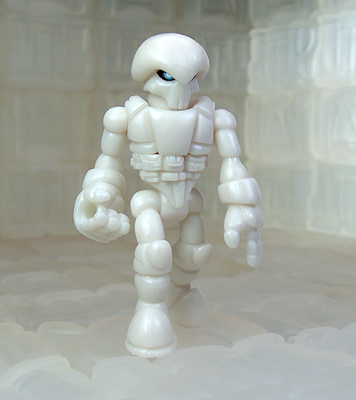 Click here to see the figure, which will go on sale at the Long Island Toy Show in New York on July 13, 2013. Meet your new favorite toy of the week! If you aren't a member of Club Mordle, the Mordles Standard Edition (Yellow) Mini-Figures go on sale Friday. The idea here is that these are newly-made figures based on the food for Rocks & Bugs & Things toys, which are pretty uncommon as toys go and the little figures are frequently missing. They're nifty 1980s-style figures and the price-per-figure is quite good. And this set even has an egg with it, and I can tell you that all 20 launch Mordles fit in it just fine for easy storage. Oh, and they have names! The revised "Noboto Drop" menu is here! The June 23, 2013 drop went without a hitch - and some people are reporting ship notices already! For students of the future, this is the menu at drop time before the limits were raised. It's slightly different from the first June 14 drop in this respect and that the Noboto figure was changed from a sale item to a premium with orders, which is a heck of a nice $8 bonus. Marty "The Godbeast" Hansen has produced a number of fantastic figures over the years, be it hand-molded low-run items or assisting in prototyping other figures you know and love, like the Armorvor. 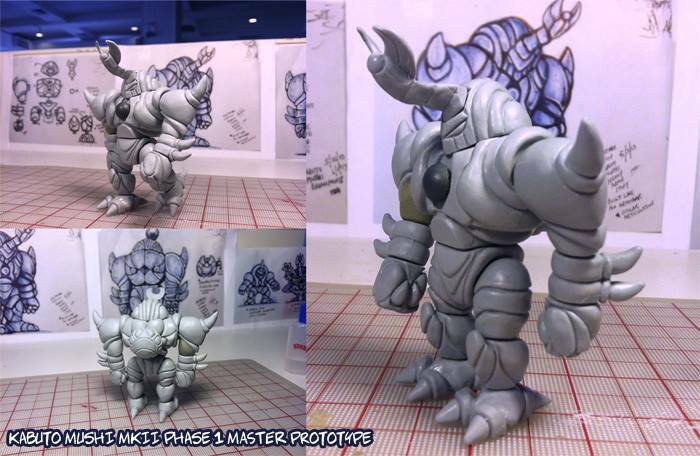 One of his most awesome creations is the superb (but only low-run not-PVC) Kabuto Mushi, which has just been given a big upgrade with the Kabuto Mushi MK II Prototype seen here. Like all of his projects, it's pretty superb. The picture was also presented on his blog with minimal commentary. A post on this forum indicates that this is the first stage in possibly getting this figure produced, in PVC, over in China. 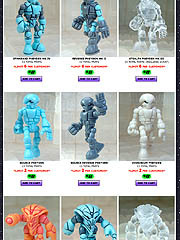 On the October Toys Forums, Mr. 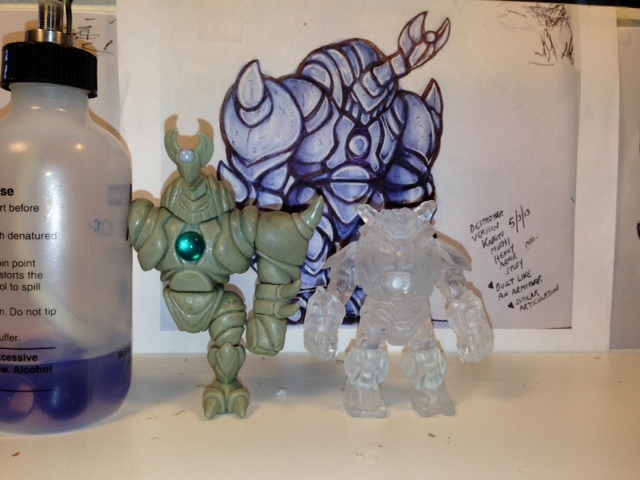 The Godbeast presented these additional early prototype images which you should check out showing scale - as you can see, he's slightly bigger than an Armorvor. The Buildstation 2013 wave is up right now. The Armorvor Engineer Mimic head (below) was revealed as red fur, and as of my typing this (28 minutes after launch) nothing has sold out and I have yet to see comments of any problems. Also, don't forget that Noboto is no longer for sale and is now a freebie with purchase - so buy a lot of stuff to make getting that $8 figure worth Onell's while! Click here to go buy something! We will be posting the full menu from the drop later tonight or tomorrow. Click here for their full posting, which I assume you read by now. (You really should read it.) Both of the Noboto colors will be run again, they say, which is pretty nice too. As a part of The Council of Travelers, Ullexono Pheyden rarely comes up for sale. Is he popular? Is the design just good? I'm not sure, but the candylike appearance of the figure combined with some nifty alternate parts makes it worth tracking down if you're already considering it. It offers little that a normal Pheyden won't provide, other than some particularly tasty color choices. My initial reaction to the darker head was that it was some sort of amazing new variety of Skittles. 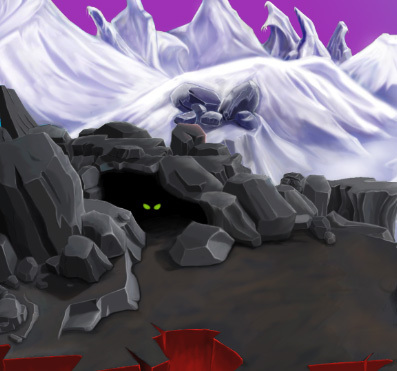 The dark purple with the grey highlights really looks quite lively with light purple eyes peering out from his unique skull. The default head is a much lighter color with piercing blue eyes, which really do look fantastic from behind the included scarf. As it is a tradition, here's the menu for the June 14 drop - this is the debut of Noboto, the first big restock of the Buildstation in a while, and the monumental return of a classic Pheyden action figure. At this time (as I type this) the store is down for maintenance and the production numbers were increased so that nothing sold out when I checked earlier. Stay tuned to Onell Design for updates and when you can place your order for the new guys! 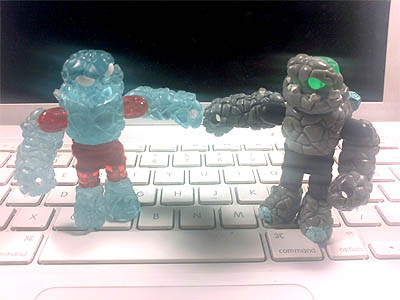 A new Armorvor molded in grey with Venjorun Red was added, as were many delicious flavors of Pheyden and a couple of superbly awesome Crayboth figures. UPDATE 6/15/2013: In a post called "Master Reset," it has been relayed that the release has been rebooted. Orders have been refunded (mine included) or are in the process of being refunded, and the release will be rescheduled due to problems with Paypal. UPDATE 6/20/2013: As such, this is a sort of a "lost drop." It will be tweaked with different limits and Noboto as the freebie, going live on Sunday at 9:30 PM Eastern. The big excitement of the evening was the first official release of Noboto, a long-in-development release that we are told not only includes a backpack, but two heads! The Armorvor Engineer Mimic also has an interesting story, which you can read here. The good news is that nothing sold out as of when I last saw the store - this may change - but when the store comes back up, you've probably got a good chance of grabbing something like an Armorvor or Noboto in clear or ivory. 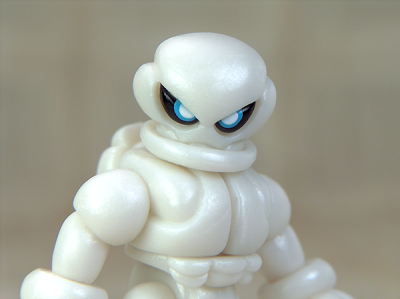 Spy Monkey Creations has a pretty good history of supplying products for Glyos collectors as well as compatible weapons for Masters of the Universe Classics, with Weaponeers of Monkaa being something of a crossover. The Cold Steel Close Combat Armory took a while to sell down, but being pretty cool and cheap it eventually blew out. I ordered a packet of the weapons with the first batch of figures and generally dig them, although I didn't do much with them until recently. 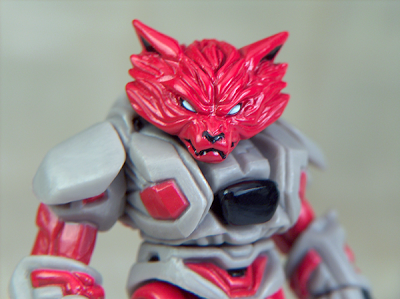 If you're a big fan of Battle Beasts, this is how you get weapons for your Armorvors. There's a lot of newness, oldness, and in between-ness scheduled for Friday's launch! Onell Design posted Mission Details (see below for the menu or click here to read it) showing things like the Ivorinium Pheyden (left) new "Source Pheyden" figures without the panel lines, new Crayboth, a surprise new Armorvor, and a few other unannounced goodies. The return of the Buildstation should mean more items permanently in stock, or at least in stock for more than 20 minutes. The Onell Design store is down to a 8 items, so the influx of newness should prove exciting for collectors and welcoming to newcomers. Enthusiasm is infectious. 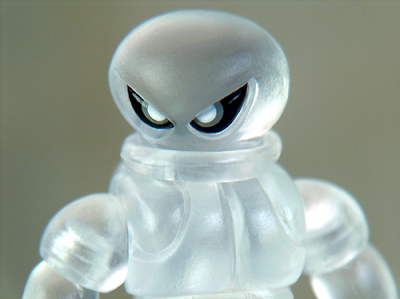 I knew very little about Mordles from Rocks and Bugs and Things before corresponding with its current home under ToyFinity, with fan John Kent getting his claws in Ideal's 1985 toy line. Let me tell you, it's impossible to talk to this guy without his excitement rubbing off on anyone within earshot. In the new line, Mordles are the star attraction rather than as the victims of larger transforming carnivorous rocks and bugs. On their own, they're surprisingly fun! I never had a chance to play with them until these samples showed up last week, and I'm digging them. The first batch has yellow with blue paint and blue with yellow paint. For the sake of this review, we're looking at the Mordles Crawler (Blue) Mini-Figures and we'll take an extended look at yellow in a week or two. 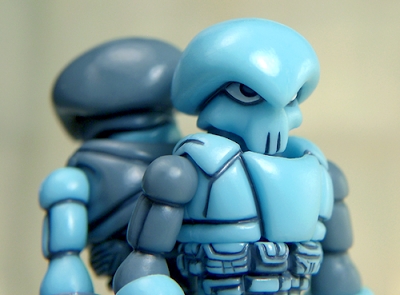 They look like angry or possibly depressed little buggers and are scaled perfectly to menace Glyos figures like Callgrim or The Outer Space Men and like those lines. When you get one in your hands, the clean little guys have zero copyright markings, dates, or other identifying characteristics - with Mordles, you know them or you don't. Each one measures just under an inch high to just under 1.125-inches high and has no articulation, but it's not like they'd really benefit from articulation at this size. They stand perfectly and balance really, really well. "Here is a sneak-peak of the packaging art being worked on by Victor Durango (soundwave810 of Cassette Man Studios) for the re-branding of Chris Negri's (Bah'glenn of Bah'glenn Creations) Glyos toyline. The artwork will be wrapped around the box for the new Ston'emm figures releases. It will also be used for future releases of two new races to the toyline." The 481 Universe Outlander figure has a few more painted test shot pics up on the 481 Universe blog, so now you can see the other colorway of the upcoming release. It's shaping up pretty nicely, so go ahead and check out this upcoming release! "There will be some special releases as well, with order limits in place like in the past." Click here to see it all! Well, some of it - the full menu has yet to be unveiled. The drop is Friday, June 14, at 9:30 PM Eastern. It looks great and I can't wait to get my mitts on one.